Heard enough? Want your own copy of the CD? * by Michael Boyle, ©2007. 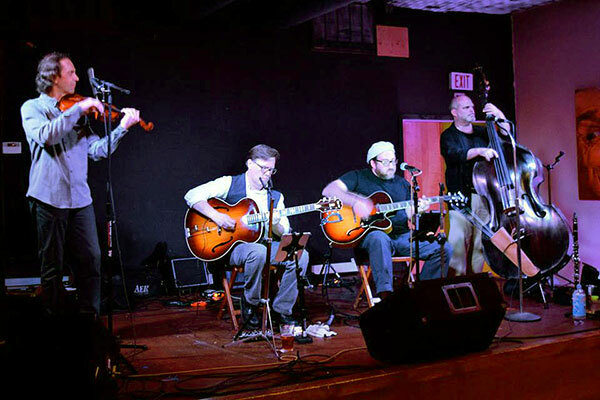 Upstate New York's hottest gyspy swing band, playing a wide range of Django Reinhardt–Stephane Grappelli tunes and original compositions in the gypsy jazz style. MHC is a gypsy jazz group that plays hot swing of the 30s and 40s. The group celebrates the music made popular by legendary guitarist, Django Reinhardt, and jazz violinist, Stephane Grappelli. An impressive repertoire of period music, along with newer favorites and a growing body of original compositions, make for an unforgetable listening experience.